Harrabin noted that Lawson was correct in saying that renewables were much more heavily subsidised than fossil fuels in the UK, while saying that Gore’s position that things were the other way round on a global level was also true. There was one amusing bit of Harrabin logic when he said that expenditure on energy saving had countered costs of renewables and therefore the UK was in the middle of the league table of European energy prices. A bit of a non sequitur there, I think. Stott was much less satisfactory. In fact it left a rather unpleasant taste in the mouth.John Humphrys opened with a good clear question: “So have we seen an increase in great storms?”, to which Stott responded with a very slick demonstration of how you get ahead in the civil service: don’t give clear answers to clear questions. He said that we were indeed seeing “more extreme weather”, and claimed that the IPCC report refuted Lawson’s claim that there had been no changes in extreme weather and that they were quite clear that we had seen “changes” in many weather extremes. This was an (ahem) interesting approach, because Lawson was actually very clear that extreme weather changes all the time: Extreme weather events have always happened. They come and go. And some kinds of extreme weather events of a particular time increase, whereas others, like tropical storms, diminish. When Humphrys pressed Stott on which climate events the IPCC said had increased, Stott again seemed to struggle to give a straight answer, responding with an answer about a Met Office study of heatwaves. This was no doubt because it gave a stronger message than the IPCC’s “medium confidence” that there has been an increase. He also said that we were seeing an effect on heavy rainfall events, which again is not really the impression that you get from the IPCC, which make the curious statement that there are “Likely more land areas with increases than decreases”. Still we learned nothing about the “great storms” that Humphrys had opened with, and which is most people’s idea of what extreme weather looks like. These have unquestionably diminished, just as Lawson said. But Stott said nothing of this. One could only be left with an abiding impression that he was damned if he was going to let the truth pass his lips. I believe the question to be wrong. It should be ” can you verify your statements”. And see if their statements are reproducable. Or if, as in America, and Australia, the statements are wrong. They had to modify the data, and threw out the old data to cover their position. Figure 1. Comparison of global (land & ocean) mean surface temperature reconstructions from NASA GISS, the University of East Anglia’s CRU, and NOAA NCDC. Scientific process doesn’t boil down real easily. If the whole world is colluding to fool us, then there scientific gatherings on how to stay on track together about lying. But that is what fossil fuel propaganda is about, not science. Scientists devour their own young to show that they are the correct science method. It is based on being as close as possible to reality. Three different data sets pretty much agree with each other, handled in slightlyy different ways. This is what makes the certainty level higher about the temperature data. All the different ways to track temperature are coming into agreement. It’s getting harder to sell the fake climate crisis. Yes, it is. And the weather is not helping their case, either. They need steadily climbing temperatures for their theory to work and they are not getting them even though CO2 is up. Unfortunately, there is a lot of momentum in the system that has to be worked out of it, which means there is still going to be enormous sums of money being wasted on this boondoggle for some time to come before all the alarmists figure out they have been heading down the wrong path. You have to love Mother Nature for her sense of humor. Her refusal to notice [CO2] pricks bubbles of pomposity such as Algore and Princecharles. 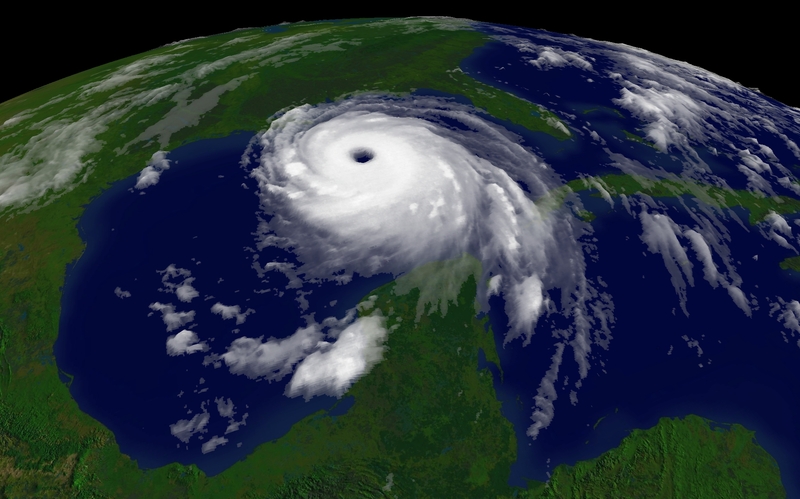 Gore’s doom-laden hurricane predictions have failed miserably. Attribution of any temperature changes to man is a claim not a fact. While CO2 has risen significantly in the last 20 years, temperatures have not, in contradiction of warmist theory. Of course the money may not flow directly, or you could instead use some or all to build a sovereign wealth fund as Norway does, but the simplest and most direct way of providing benefit is allow the owners (I.e the people) to get the product at cost. That’s not subsidy, it’s ownership. That is entirely different from private producers being allowed to keep the profits from subsidised production. That simply transfers wealth from the public to a small number of private individuals. “…attribution studies have shown that human-caused climate change increased the risk of the extreme temperatures seen in Europe in 2003, which brought many thousands of heat-related deaths. Human influence also substantially increased the risk of the record Australian temperatures seen in 2013 which brought devastating forest fires and the destruction of many homes. He is not a climate scientist, he is a mathematician playing with climate models based on IPCC output, but it is all presented as facts. Climate spin doctor – there are more than enough of them out there trying to confuse and scare the public into thinking they are the problem.